When you are ready to invest in a more permanent method of hair removal, it is important to choose an option that works best for you. Not only must you choose an avenue that will render the results you are after, it is necessary to fit the budget. In order to achieve both of these aspects, you must select the right method of hair removal. Two of the most popular approaches are electrolysis and laser hair removal. Continue reading to review a basic comparison of the two hair removal methods, including the results you can expect, how long they will last, and where to find the most trusted source of information near you. Electrolysis is the process of using heat or chemical energy to permanently remove unwanted body hair by destroying the central growth cells of hair follicles. A specialized IB probe is inserted into a hair follicle to send an electrical current straight to the root of the hair, which cauterizes the papilla and deters a follicle’s ability to produce more hair. 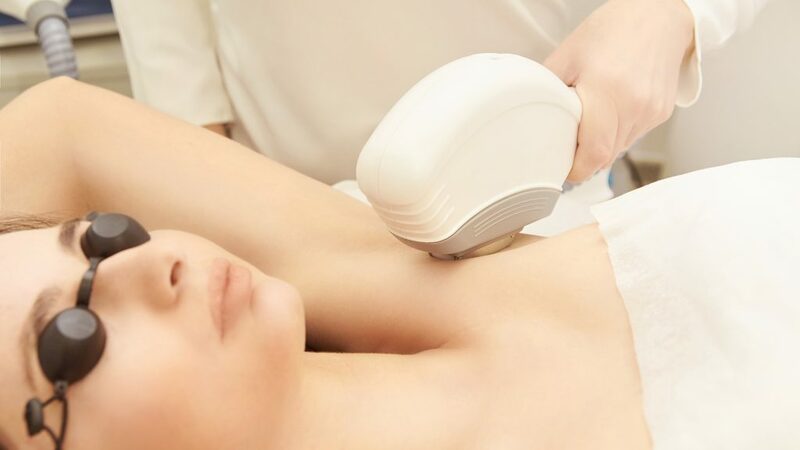 In contrast to electrolysis, laser hair removal uses a concentrated beam of light (laser) that converts to heat, thus damaging the tube-shaped sacs within hair follicles. Electrolysis is the ONLY permanent hair removal method recognized by the American Medical Association (AMA) and the Food and Drug Administration (FDA). Laser hair removal is not a permanent solution to unwanted hair growth. Instead, the procedure only delays hair growth for a long time, making it a hair reduction method, rather than a hair removal method. During electrolysis procedures, the amount of pain or level of comfort will differ depending on a client’s sensitivity. In most cases, clients feel minimal to moderate discomfort. Laser hair removal is reported to be moderately to highly painful, but it also depends on the particular person’s pain tolerance. In both cases, electrolysis and laser hair removal are said to potentially cause a variety of normal side effects, including minor skin reddening, irritation, skin discoloration, and more. Electrolysis is best suited for all hair and skins types, regardless of color, texture, and sensitivity. On the other hand, laser hair removal is not. Instead, laser hair removal is best suited for individuals with dark hair and light skin. Those with darker skin and hair, or very light hair, will not get great results with laser methods. Electrolysis can be used on virtually any area of the body where hair grows. It is well suited for anyone, regardless of age, gender, skin type, hair type, and more. Laser hair removal is a little more restrictive, as it can be used on most areas of the body, but not on the eyebrows. Call Arborcrest Electrolysis at 317-845-1002 to learn more about electrolysis, including how to get started with our Indianapolis electrology services, today. You can also schedule a free initial consultations to learn your options for permanent hair removal, and receive a free quote for our services. Don’t settle for reoccurring hair growth any longer. Be absolutely radiant in your own skin! This entry was posted in Electrology and tagged Electrologist Indianapolis, electrology vs laser hair, Indianapolis Electrology Clinic, Indianapolis electrology services, laser hair removal or electrolysis, laser hair removal vs electrolysis. Bookmark the permalink.